Products – Accurate Tape & Label Co. Accurate Tape & Label Co. is a superior company offering the finest quality products at competitive and affordable prices. We also carry brands that you know and trust. When you call Accurate Tape & Label Co., you will certainly receive not only unsurpassed service, but also top-notch products and supplies. From labels to shipping supplies, we work hard to ensure the quality of each and every product we offer. When only the best will do, contact Accurate Tape & Label Co. Distributor of Industrial and Specialty Tapes/Labels for over 50 years. 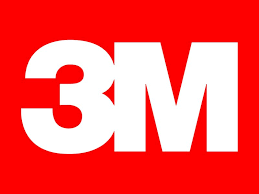 Distributor for: 3M, Tesa, Brady, Seton, American, Nashua, Polyken, Intertape, Tape Inc., Gaska, Tyco, etc..